On Sunday, 11th June 2017, Caledonian Estate near Kirkintilloch is opening its gates to members of the public for the first LEAF Open Farm Sunday' event on Easter Cadder Farm. Hundreds of farms across the country will be welcoming visitors on the 11th June 2017 as part of the farming industry's annual open day. 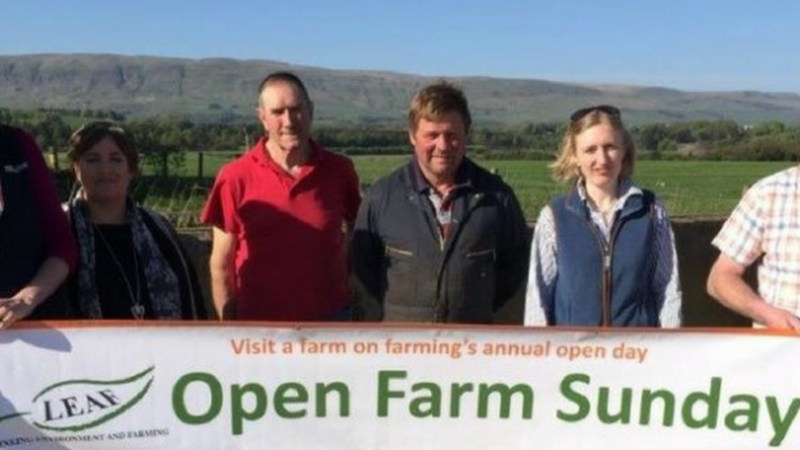 The event at Easter Cadder Farm, which has been organised by Galbraith and CBRE, will showcase the fascinating world of farming and estate management. As well as being a fun and informative day out for all the family, LEAF Open Farm Sunday also gives visitors the opportunity to see first-hand all that goes on around the estate, the important roles our local farmers and estate workers hold, and the impact their work has on all our lives. We are thrilled to be hosting the estate's first LEAF Open Farm Sunday on Easter Cadder Farm and hope to welcome lots of families and individuals who want to find out about what's going on their local farms and estates. This is also a fantastic opportunity for the estate to demonstrate the hard work that the maintenance team and farmers put in all year round to ensure the land remains productive and is a healthy habitat for a variety of plant and animal species thrive. Galbraith, who are the managing agent for the estate, also encouraged us to take part in the event this year as it was the perfect chance for the estate's tenants to show how they utilise the land to the benefit of both the local economy and the community. We hope that this weekend's event will encourage more landowners to do the same.